The Donic-Schildkröt table tennis bat CarboTec 3000 is a sturdy and hard table tennis bat. The special feature of the CarboTec is that the bat's wood is replaced by carbon for the first time. It makes the bat even harder and more torsion-resistant than common table tennis bats and provides a higher energy-production for a quicker play. The self-adhesive QRC rubbers (Quick-Rubber Change) can be easily removed and replaced by new ones. 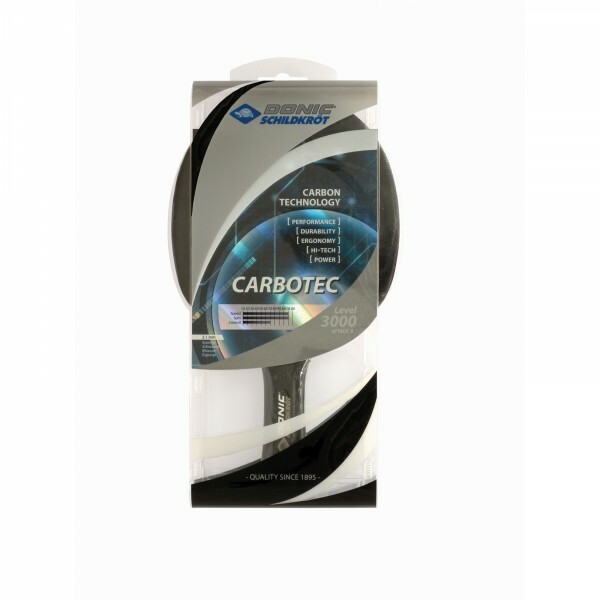 Donic-Schildkröt QRC layer 3000 Energy for tt bat CarboTec 3000 In stock!